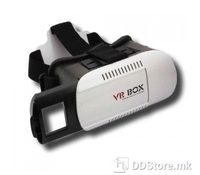 Omega VR Glasses are glasses that, combined with your smartphone take you into the world of virtual reality. Solidly made of durable polymer provide entertainment for hours. 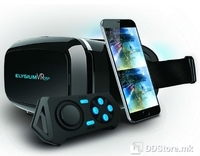 Just download it from the app store appropriately marked games or movies on your smartphone and glasses quickly take you to the virtual world of films 360, 3D and VR games. The housing can be mounted smartphone with a screen size of 4 to 6 inches. Thanks to the use of aspherical lenses, which do not distort the image, we get the maximum feeling of naturalness and depth to the image, and their two-way adjustment allows individual adjustment of Omega VR Glasees both to the size of a smartphone and of PD.